Allright Rig Beta 1.2 Released! First off all, I would like to thank Lina Halper and Ilgar lunin for helping me to solve some difficulties, to all who gave me a thought on how to make my system better, and of course to Epic Games who gave me the possibility to keep going! 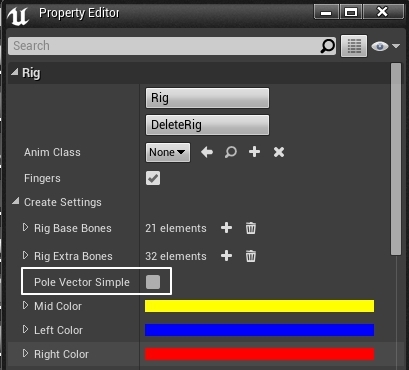 Control and customize rig for selected skeletal mesh via user interface. Now you have more properties and commands in custom property editor under Window->Allright Tools->AllrightRig menu. In the future there will be menus for animation tools and motion capture. You can save and load presets for your character. Right now it is implemented by using SaveGameObject, but I will improve this system in the next release. You can find or put your preset files under Project\Saved\SaveGames\ folder. Expandable facial system allows you to create controllers using eye bones and morph targets. You can easily setup joints for eyes and eyelids using Eyes Rig Script For Maya. Or you can create same joints hierarchy in any other software. Just specify their names in face settings. Create any amount of controllers for morph targets. You just need to specify at least 4 morph targets per controller and set controller parameters. You can move your controller on X and Z axis. 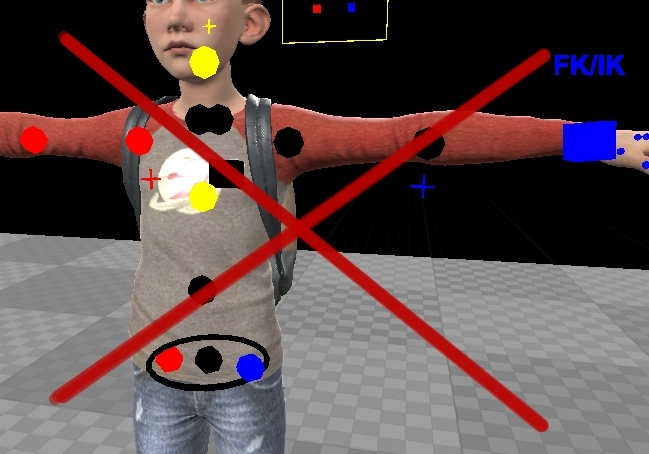 So here you need to specify what morph targets (0, 1, 2, 3) will your controller activate when you will move it on the +X, -X, +Z or -Z axis. You can also add 4, 5, 6, 7 names if there few geometry shapes that share one morph deformation. For example face geometry and eyebrows geometry. 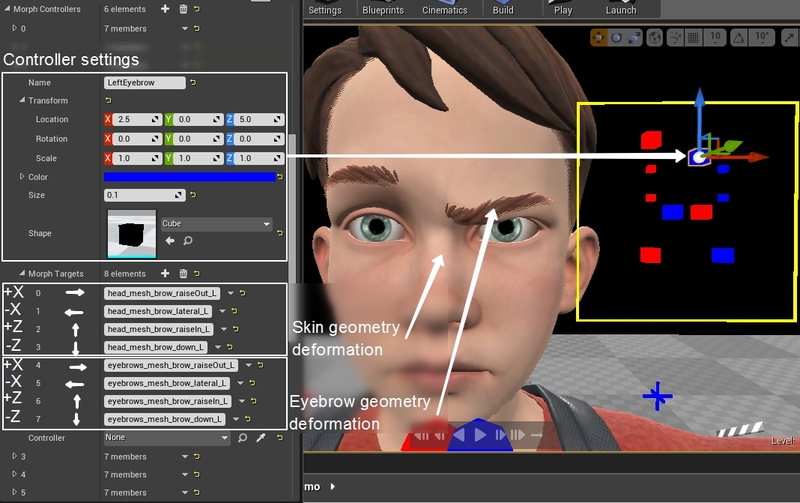 Bake facial animations from controllers to an animation sequence and from animation sequence back to the rig. 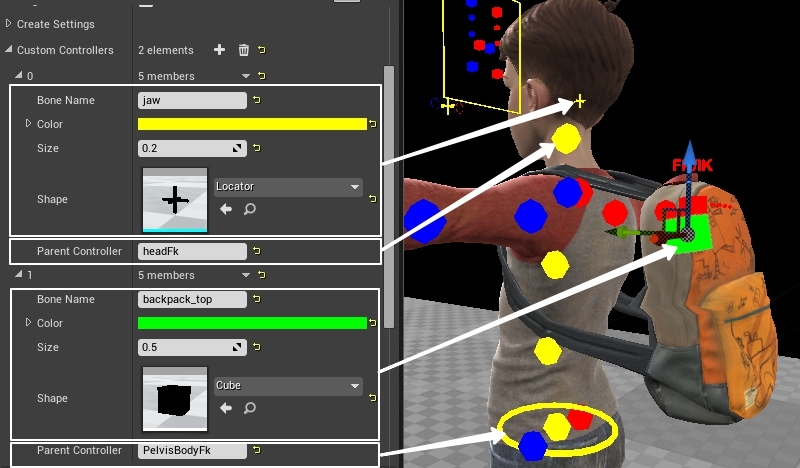 Bake skeletal mesh animations to the rig, edit it, and bake it back to skeletal mesh. Skeletal mesh animation will automatically be updated in the editor viewport. Now you can build games with Allright Rig. Plugin modules are divided into editor and runtime modes. Right now you can build game only in shipping mode. 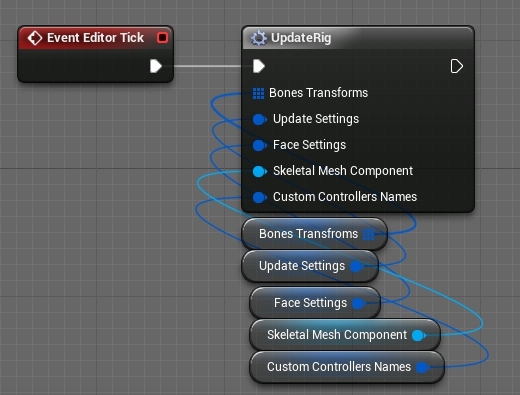 Add controllers for any bones in your skeleton. 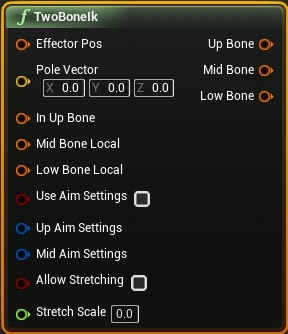 You just need to specify bone name, controller shape and parent controller to attach to. 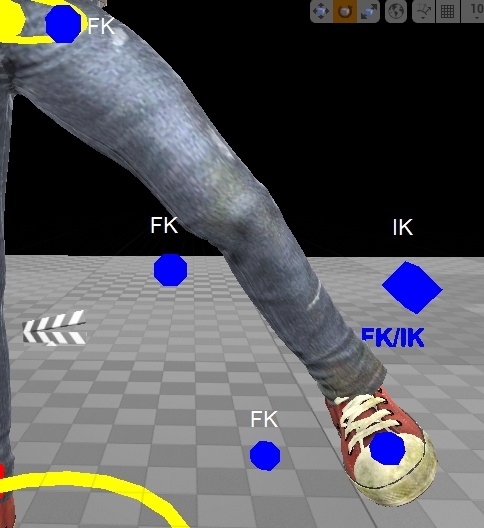 Select any controller and command will snap all Ik and Fk controllers to the current bones positions. You can enable or disable stretch mode in FkIk controller parameters. 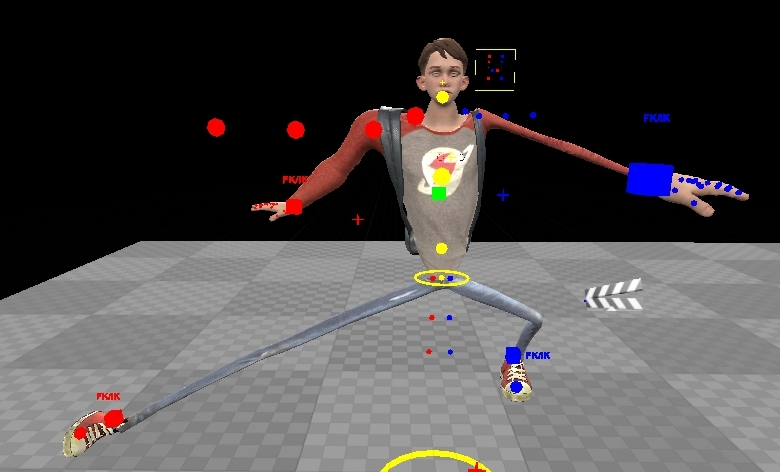 If your characters arms or legs are absolutely straight in the reference pose, it is impossible to calculate pole vector location, so I have added simple mode for finding pole vector location during the rig creation. 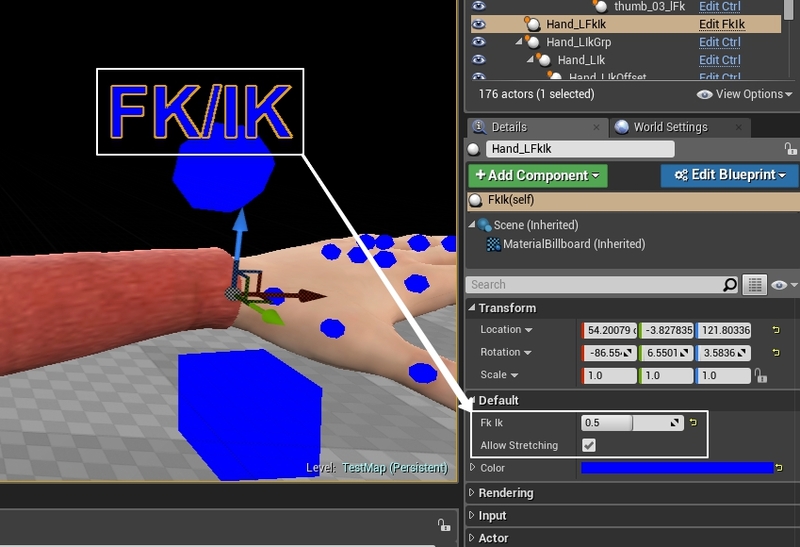 Now you can switch and animate Fk/Ik blending and set auto stretch using new Fk/Ik controllers. 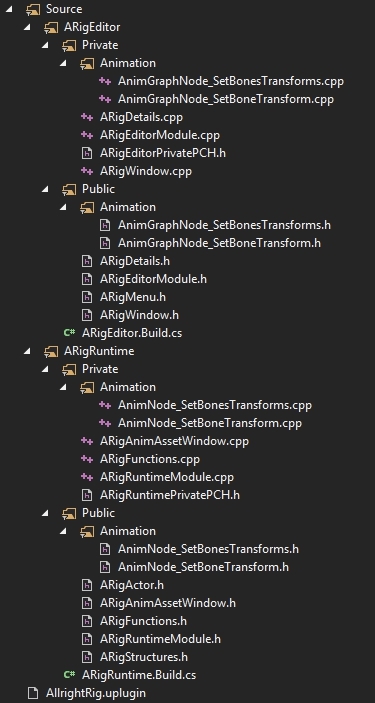 From this moment Rig is a custom actor which has editor tick and it safely updates the rig without running construction script. Use SetBonesTransformes node to set array of bone transforms in Anim Graph. AddRawMorphTargetKey and GetRawMorphTargetKey nodes are added to bake morph targets animation to animation asset and back to the rig. During the development of the system architecture I was trying to reach a high flexibility, but I also wanted to finish the whole system as quickly as possible so that it would be available sooner. Finally, I had enough time to clean up plugin source code a little bit. Now you can save scenes with rig, open them and you will not find black controllers anymore. It works for game build as well.